Discover northern Germany during your docking time on this half-day private tour. Explore the fishing village of Warnemunde and admire the 18th and 19th-century houses that line the streets. 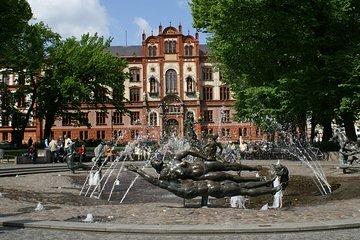 Then head to the city of Rostock and wander around the historic center with your guide. See sights like the town hall, St. Marien basilica, the historic university and do a bit of shopping before heading back to the ship.